Home / Blog / #1 Reason to ask Customers for Google Reviews Right Now. Your business may be biding time with zero Google reviews, but the second you get one bad review your Google Local Listing is forever changed. Literally. The look of your Google review changes if your business has no reviews and then receives a one-star review. 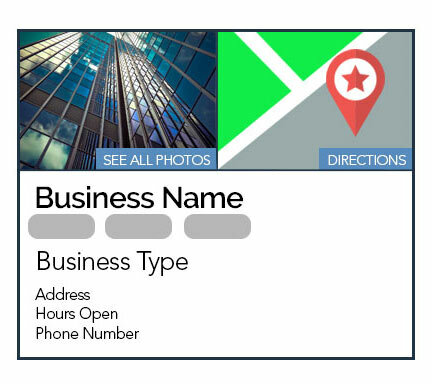 Now your business looks like 1-star company, and you’re frantically playing catch-up as you call friends, family, and customers pleading for 5 star reviews to help increase your rating. We cannot stress enough how much you want to avoid this at all costs. 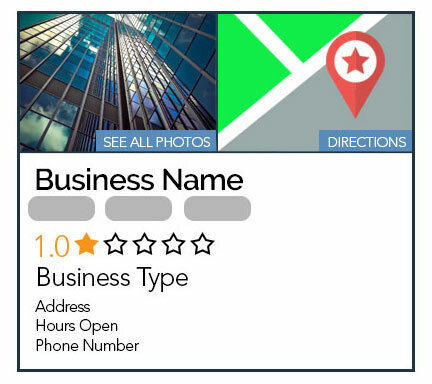 If your business has a Google Local Listing a 1-star Google review is almost an inevitability. You do your best to please everyone, but there is always that one in a million unsatisfied customer. There is also a chance that someone who has never been your customer gives your company a bad review. How to Ask your Customers for Google Reviews. There is just no way around this: If you want good reviews you need to ask for them from satisfied customers. We’ve collected some of the ways that have proven successful for us as well as our clients. After you have completed your service, follow-up via email. Thank your customer for their business and explain that an important company goal is looking for ways to improve, and that filling out a review is a helpful way to receive feedback. Add a link to the review and let them know that they will need to be logged into a Gmail account in order to leave the review. Once you get over your concerns about asking your customers for reviews, the next biggest hurdle will be explaining to your customers how to leave a review. A simple solution for this is to create a handout with instructions. If your business provides a service at your customers’ homes and businesses, you might want to invest in tablets for your crew. After the service is complete your employees can ask for the review and have the tablet right there to make it simple for them to fill out. As a business owner you know what best what encourages your employees to go that extra mile; for us it’s team parties with great food. Some of our clients have found success utilizing customer review software. These companies use text messaging to encourage clients to leave a review. This method can also prove successful for customers who may be unfamiliar with navigating the Google review process. This software can be pricey but may be worth considering if your customers have trouble posting reviews.